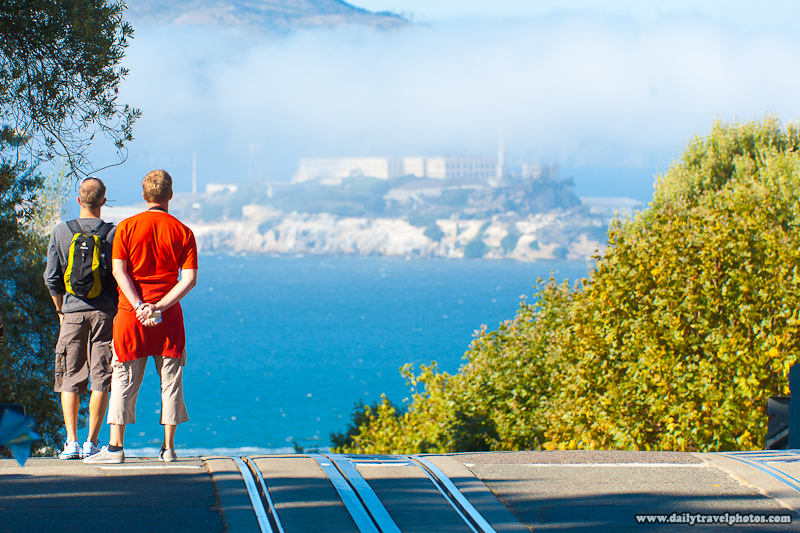 Tourists on Hyde Street stare at Alcatraz Prison in San Francisco. The compressing effects of using a 200mm lens makes Alcatraz Island appear fairly close to the peak point of Hyde Street. Adorable capture!! I love the scenic view of this picture. The clouds are making this picture more beautiful. It is the best picture to attract tourists.